Lancashire saw a big increase in fines for children's poor attendance as thousands of pupils missed classes every day last year. The number of fines handed to parents for their children failing to attend school increased 15 per cent compared to the previous year. Department for Education figures show that Lancashire’s state secondary school pupils missed 5.3 per cent of their lesson time in the 2017-18 academic year. Of those absences, more than 20 per cent were unauthorised, including truancy or for family holidays for which permission had not been granted. 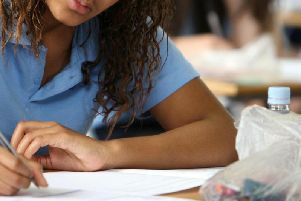 And 13 per cent of the 64,402 pupils enrolled in secondary schools were classed as persistently absent, meaning they missed 10 per cent of their total learning time. Lancashire’s state primary school pupils missed 3.9 per cent of their lesson time on average, with more than 20 per cent of absences unauthorised. Among primary pupils, eight per cent were persistent absentees. Absence rates increased slightly in secondary schools compared to 2016-17, when five per cent of sessions were missed, and also increased slightly from 3.7 per cent in primary schools. In total, it means around 6,800 pupils were missing from primary and secondary school on the average day in 2017-18. Meanwhile, the number of fines handed to parents for their children’s absence increased 15 per cent last year. There were 7,891 penalty notices issued in 2017-18, up from 6,876 in 2016-17. Last year, just 96 per cent of the fines issued were for unauthorised holidays – just nine per cent of unauthorised absences were recorded as being for holidays. Across England, the number of fines issued increased by 75 per cent to over 260,000 in 2017-18 – 85 per cent of them for unauthorised family holidays. The percentage of time absent from state primaries and secondaries also increased slightly, from 4.6 per cent to 4.7 per cent. The rise in fines comes after father Jon Platt lost a case at the Supreme Court in April 2017. Mr Platt initially won a high-profile High Court case in May 2016 over taking his daughter out of school for a holiday to Disney World, Florida, without permission. The case was later referred to the Supreme Court, where Mr Platt lost. The latest increase in the number of fines issued appears to be due to councils getting clarity from the Supreme Court judgement. Paul Whiteman, general secretary of school leaders' union NAHT, said requests for time off during term time can only be authorised in exceptional circumstances, which he said does not normally include holidays. "The NAHT has clear and reasonable guidance on what constitutes exceptional circumstances. "However, the system of fines is clearly too blunt an instrument and in many cases it drives a wedge between schools and families. "The real problem is holiday pricing. Neither parents nor schools set the prices of holidays. "They will both continue to be caught between a rock and hard place without some sensible Government intervention," Mr Whiteman said. A Department for Education spokesman said: "The Education Secretary has made clear, persistent absence from school is a society-wide challenge that we all need to work together to resolve - and while significant progress has been made, today's data shows that has now plateaued. "High quality education and pastoral care will make a real difference to children's life chances, and that's particularly important for those who are most vulnerable, but clearly key initiatives will only work if children are present. "That's why the rules on term-time absences are clear: no child should be taken out of school without good reason. "We have put head teachers back in control by supporting them - and local authorities - to use their powers to deal with unauthorised absence."